The South Tyrol produces high quality fruit. Small Marille apricots, damsons and the famous Williams pears are specialities that are famous all over the world. That is why they are packed specially and are bottled traditionally in stout "apothecaries' bottles". 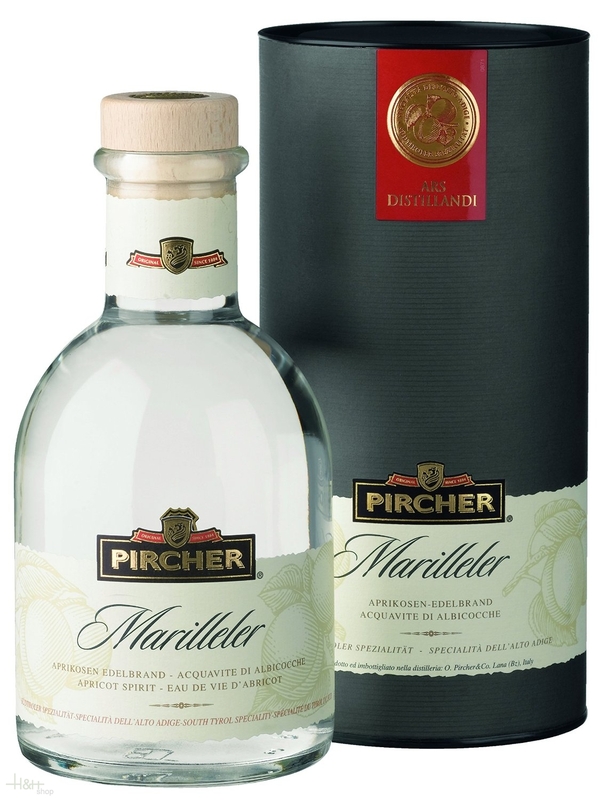 Buy now this product together with Williams Pircher Pear Spirit South Tyrol Line 70 cl. ready for shipment: in stock Williams Pircher Pear Spirit South Tyrol Line 70 cl.